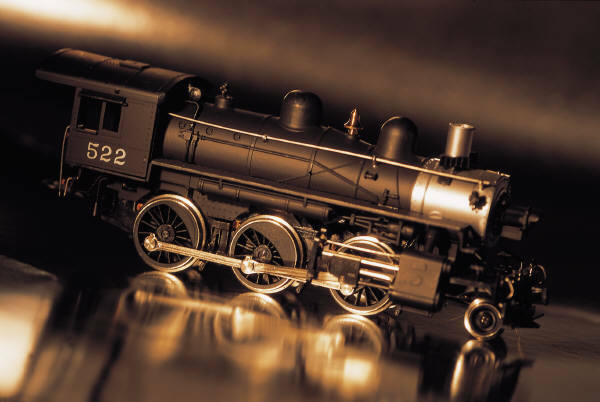 Dreaming and imagineering are vital parts of building a model railroad. They are also vital to designing a virtual railroad. The Utah and Rocky Mountain is no different. To effectively create this ficticious railroad thinking about its operations is necessary in order to properly lay out the track work so that it is a convincing model railroad. In this article we will explore the train operation possibilities for this layout. These techniques can be used for both model railroading and virtual railroading. For my railroad rail traffic consists of bridge traffic, local pick ups and deliveries, local passenger service, and through long distance passenger service. The major terminals on the Utah and Rocky Mountain are Grand Junction, where connections with the Rio Grande and points east are made, Salt Lake City with connections to the Union Pacific, and Spokane providing connections with the Great Northern, and SP&S Railway and the west coast. The bridge traffic are through freight trains that run from Grand Junction to Spokane (and in the opposite direction). These trains are processed through major yards located in Spokane, Salt Lake City, and Grand Junction. These three major terminals also offer interchanges with the Great Northern, SP&S, Union Pacific, and Rio Grande. A typical run would consist of the train being assembled in Grand Junction and run to Salt Lake City. At Salt Lake it would be processed and cars added or removed. Once ready to go it would head to Spokane where it is disassembled and the cars set out on the interchange tracks. The local freight traffic is responsible for making pick ups and deliveries to industries along the Utah and Rocky Mountain right of way. These trains run only within their respective divisions with cars processed at the major yards on each end of the division's right of way. There are smaller sidings available along the right of way to facilitate efficient operations while making deliveries and picking up waiting frieght. A typical local run with in a division might go like this. Early in the morning the train crew arrives and assembles the cars for that morning's run. These cars have arrived in the yard from one of the many bridge traffic trains that run on the main line. Once the train is ready to go it moves along the division's main line dropping of cars, and making pickups. It performs this task at all sidings that are accessible in the direction of travel. At the end of its run it will sort the cars at the yard, moving those cars that need to be interchanged to the interchange tracks. It adds any additional cars to the train and then starts back down the line, usually in the afternoon. This time it makes pickups and deliveries to all sidings that are accessible in its new direction of travel. Note that these local trains start at opposite ends of the division and pass each other at some point along their appointed rounds. Another source of income for the Utah and Rocky Mountain is leasing trackage rights to the Rio Grande, Union Pacific, Great Northern, and SP&S. These trains are regularly seen along the main line. When these trains run on Utah and Rocky Mountain track they are not permitted to service U&RM customers. They are cleared as through frieghts and only stop at the major yards at each end of the line where they can continue on to another railroad if they have trackage rights. Besides freight trains from these other railroads you will also see through passenger trains running along the U&RM mainline. 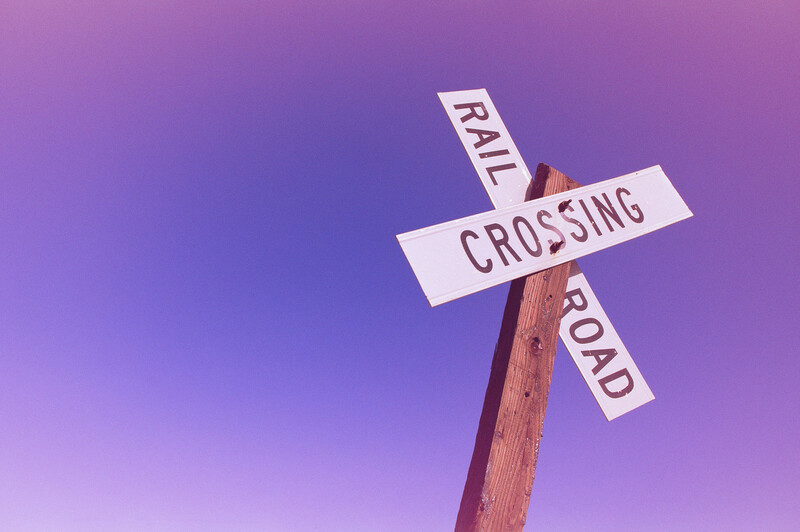 The passenger trains are allowed to stop at only the major stations located at Grand Junction, Salt Lake City, and Spokane. As you can see, by allowing other railroads to run on the Utah and Rocky Mountain mainline I can effectively have a good excuse to run Union Pacific Big Boys, or any train from these railroads on my layout. This is a nice way to justify running your favorite railroads on your model railroad, and it is a legitimate practice of the real railroads! Passenger service is also available on the U&RM. It consists of local service, express service, and through service. The U&RM also has two special trains that compete with the crack trains of the Union Pacific, Rio Grande, and Great Northern. The Spokane Limited provides service between Grand Junction and Spokane on a daily basis. This train makes connections with the Great Northern, and some of its sleeping car service are actually joined to the Great Northern trains. The Salt Lake City provides service between Seattle, Salt Lake City, and Denver. It is a joint effort with the Great Northern and Rio Grande. The U&RM handles the train while it is on its right of way.